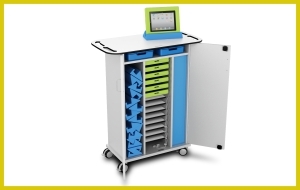 Classrooms, breakout areas and anywhere you need to charge, sync and store iPads in Gripcases or other large iPad frames. 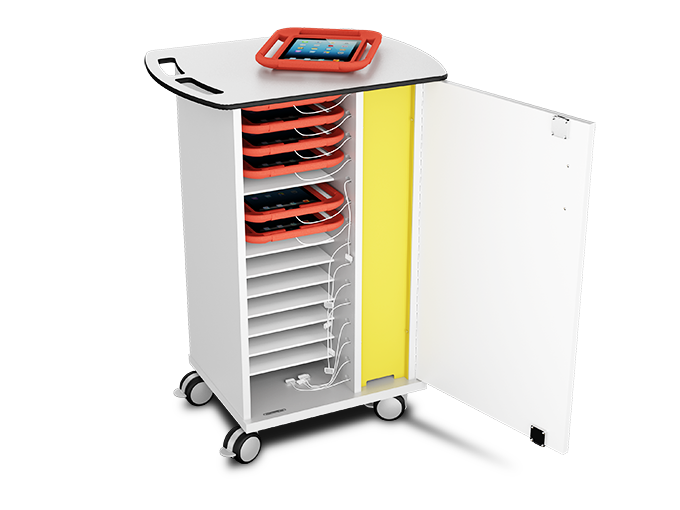 The Gripcase iPad trolley provides charge only or charge & sync for 15 or 30 iPads and tablets in extra large bumper style cases, such as Gripcase, Evecase and Big Grips. 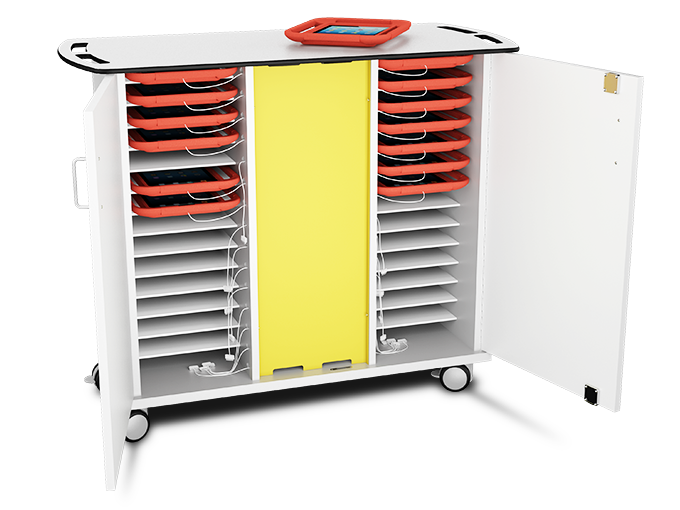 Only a short length of USB cable is presented to users for each device, keeping the cabinet neat & tidy. Doors fold back 270 degrees for easy access and there are handle cut outs to help you steer. 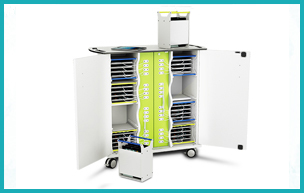 Small, compact enclosure with lockable doors and on lockable castors. Electrical bay cover in yellow.